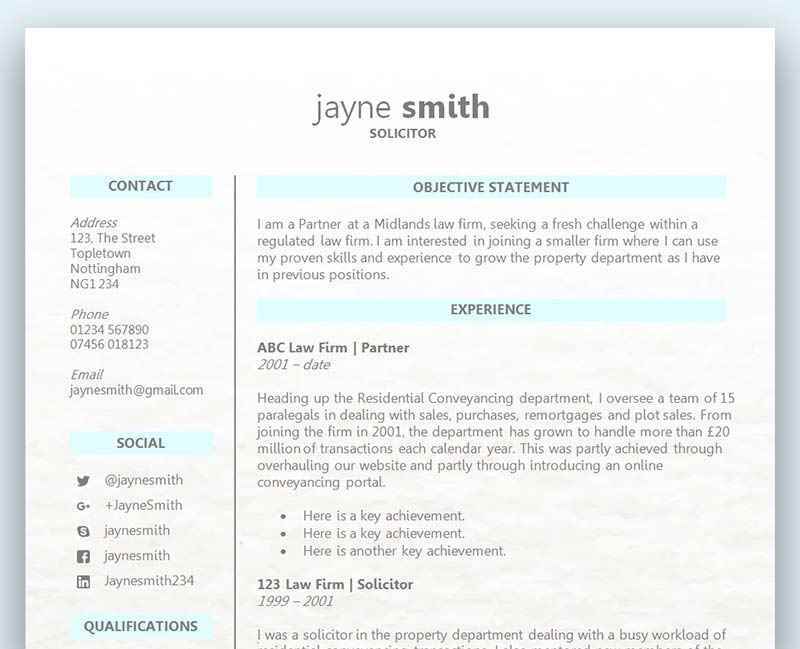 The employer was impressed with your CV (hopefully our CV template helped too! ), and now you have that all important interview. The final step and probably most important one is the interview, because no matter how good your credentials are you still have to prove to the employer you are the right person for the job. Everyone knows you have to be confident in an interview to impress, but there are also lots of other aspects which need to be combined with this confidence if you want to have the best chance you can of getting the job. If you want to give yourself the best possible chance of having a successful interview, here are our top tips to help you ace a job interview. One of the most common mistakes and probably one of the worst mistakes you can make is to not prepare for an interview and conduct the necessary research of the company and the job itself. Researching the company is not just something that you do in a few minutes by visiting their website to find out what they do, and should be a task which requires a lot of thought, time and effort in order to get the best results. If you want to be able to answer these types of questions with a great deal of confidence and understanding, you need to research the company extensively and build up a lot of knowledge about what they do, what product or service they sell, who their customers are, and so on. Having this kind of knowledge walking into an interview will not only build up your confidence, it will also show how passionate you are about the company and the role. This passion, enthusiasm and knowledge will ooze out during the interview and will be easily noticeable by the interviewer. Your research shouldn’t just end with the company and their goals, but should also spill over to the actual job specification. It doesn’t matter how many tasks and responsibilities are listed on the job advert and how many years you’ve been in the industry, you should always find out as much as you can on the actual day to day requirements of that specific company as it will differ from anyone else in regards to their expectations, rules and location. A great way to do this is to contact the employer and ask them for more information. If you can, try to speak with the manager who will be conducting the interview and who you’ll be working with. Having access to that kind of direct information will put you miles ahead of anyone else having an interview, and not only that, but you will also be stuck in the manager’s mind as someone who was enthusiastic enough to contact them directly to find out more. Make sure you make it clear who you are and what step of the process you are on. You want to be memorable for the right reasons, so always be respectful and professional, taking into consideration the time of day and how busy that person may be. Another way you can find out some insider information is if you know someone who works there and they are happy to talk with you and provide more details on what the job entails and how the company functions. After finding out more about the job and what’s expected of an employer, you may also be able to find out how their interview process went and who was present. Gaining that kind of knowledge could be invaluable as you may even be able to predict the types of questions you’ll be asked and prepare for that in advance. What a lot of people don’t do before an interview is practice and the problem with that is that you are relying on your past experience of interviews to get you through. The question you should ask yourself is – how many interviews have I ever had? The answer is likely to be ‘not many’, which is why you should practice as many times as you can to ensure you are as prepared as possible. There are lots of different ways you can practice your interview techniques, and all of them would be very effective. Ideally you want to try and put yourself through as many scenarios as possible so you leave no stone unturned. If you are naturally quite a nervous person, then you may find this part a very daunting prospect. Our advice would be to practice by yourself to begin with and possibly in front of a mirror. Write out a list of possible questions you’d expect to hear and begin to answer them. You could jot down on a piece of paper a rough guide to what you’d talk about in each answer, but don’t ever create a script and try and memorise it word for word. Trying to remember exactly how you will answer a question is usually the wrong way to go about tackling any question in an interview that may arise. First of all it would be very hard to remember a lengthy script and be able to repeat it word for word. Secondly, the question will likely be phrased differently and will often require a different approach to what you anticipated. Thirdly, you’ll be nervous and the expectations are already extremely high, so adding more pressure to yourself by trying to remember your answers word for word is not a good idea. You should instead look to bullet point your answers so you can recall that guide to create your own wording in the interview. If you have a good idea of what you might be asked and you have a good idea of how to answer the questions and what you’d like to focus upon, you don’t have to worry about how it will come out in the interview. You will automatically be more confident and proficient at answering these questions because of your research and advanced preparation. Moving on from practising with a mirror, you should look to get other people involved so you can build up that all important confidence required to speak in front of a few other people. There may be up to three people present during the interview, all of which may ask you questions. This can be very nerve racking, so practice it now to make things easier. Ask a friend or two to sit in with you and prepare some questions for them in advance that they can read out. At the end of the mock interview ask them for their feedback and see how you did. Each time you stage a mock interview you should be able to use this valuable feedback to deliver better answers each time. Overall you want to be as natural as possible during the interview; friendly, confident, approachable and professional. All of these things can be practised and learned prior to any interview, and you should not underestimate how important it is to practice and role-play. A common question that’s asked in an interview is, ‘Name three strengths and three weaknesses’. Talking about your strengths should be easy, but not so much when it comes to your weaknesses. A big mistake that’s often made is to make a weakness sound like a positive, but do it in such a way that you are clearly glossing over it. For example, you shouldn’t say that one of your weaknesses is that you work too hard and have to be told to leave the building at 9pm every night. This is an obvious tactic that won’t get past an interviewer, and honesty is always favoured more than side-stepping the question. For these kinds of difficult questions you are obviously trying to balance your answer with whether or not you should be too honest about the weaknesses you have, or not actually answering the question properly. The first rule you should follow is that you should always be honest, but back your answer up with what you are currently doing to improve upon your issues and how you are constantly developing and learning from your mistakes. You could say for example that you sometimes find it difficult to cope with customers who are very angry, and there has been the odd occasion in the past where you could have handled a complaint better. What you could then go on to say is that you are constantly learning from those situations and each time you are faced with a disgruntled customer that you are getting better at helping them and putting their needs first. This is not only an honest answer but also shows the interviewer that you are able to admit and learn from your mistakes. At the end of the day, nobody’s perfect – and the interviewers will admit themselves that they have flaws. They will appreciate your honesty and appreciate even more your ability to continue to better yourself at every opportunity. Research has shown that a judgement will be made about someone based on their appearance within the first seven seconds of meeting them. Appearances are a huge part of the interview, and failing to wear the right clothing and to look your absolute best may have a huge negative impact on the rest of your interview – no matter how well you answer the questions. It’s important to have some prior knowledge on what you would be expected wear for an interview. Should you be suited and booted, or is a more casual approach favoured? You may be able to make this determination based solely upon the job you are applying for, but if you are unsure then there is nothing wrong with contacting someone to find out. It’s quite rare, but there is the odd occasion when wearing something too smart like a suit would be a little too much. Calling an employer or even the hiring manager themselves is perfectly acceptable, and is bound to leave a positive impression if done correctly. When the employer knows you are going to the trouble of finding out what is expected in an interview, you are clearly someone who is dedicated and passionate about getting this right!